Last Friday, plans for a massive student city in the heart of Copenhagen took yet another step towards becoming a reality. The prospective International Student City in Copenhagen (ISCC) got its first endorsement from a political party when Radikale officially backed the initiative. “Copenhagen must become an attractive student city and a powerhouse for innovation and entrepreneurship,” said Michael Gatten, a Radikale member of the citizen representation in Copenhagen. 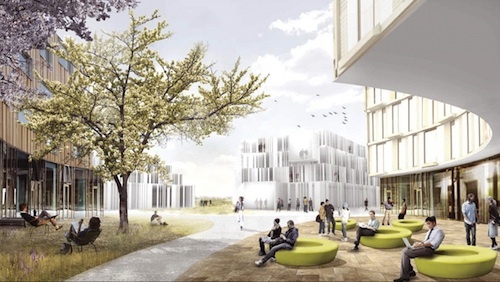 The ISCC aims to alleviate the desperate lack of housing options for students in the Danish capital by providing housing for upwards of 5,000 students in Ørestad. The ISCC is inspired by the Cité Internationale Universitaire de Paris (CIUP), the international student city in the French capital. CIUP was established in 1925 and today hosts around 12,000 students annually from nearly 140 nations in its 40 residential buildings.